Getting locked out of your car or suddenly finding you have a flat tire, maybe you ran out of gas or your battery is dead, it can all feel like a gut-wrenching experience usually coupled with feelings of panic and anger. And, if it happens in the middle of a Las Vegas summer, those feelings can escalate to a boiling point quicker than you would prefer. This is not the place you want to be stuck in the sun. 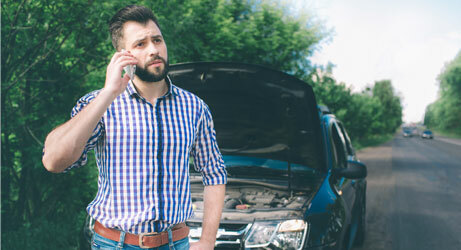 With unforgiving rising temperatures, it is certain that your stress levels will also rise, consequently, making any car malfunction more than just a simple disruption to your day. To avoid an ensuing discomfort, give us a call. Here at Isabella’s Towing, we believe that getting your car towed shouldn’t add to your already stressful situation, instead, we arrive professionally and ready to help with whatever you may need. Customers are like family to our team and we know that you had other options, but you chose us, and we want to honor that decision. 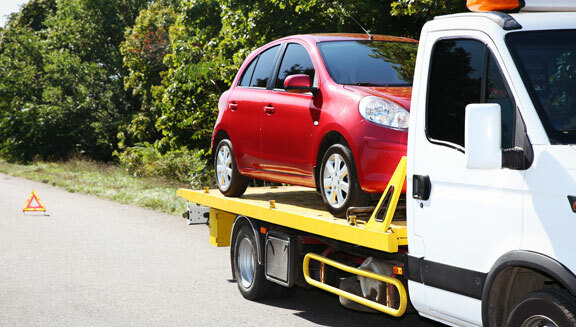 When you’re in a vulnerable state, like needs a tow truck, you don’t need a tow truck company trying to take advantage of your wallet or your distress. Here at Isabella’s Towing, we want to get you and your car out of any troublesome situation quickly and affordable. With low-end prices and top of the line services, you can’t go wrong when you give us a call. So, when you pull over, get to a stop, or get to the safest area, give us a call. You won’t need to worry about the price because we are incredibly affordable and customer oriented. We are here just for you. Isabella’s Towing company is full of professionals who are always ready to help. We pride ourselves with top notch customer service. We will take care of you and your vehicle because we know if you need us then your day is already stressful. We arrive quickly on the scene to help with any situation and we will work with you. Our team knows the various situations and circumstances that could arise that would force you to call us. Isabella’s Towing is one of the most affordable towing companies in the Las Vegas area. Although there are a variety of types of towing vehicles Isabella’s Towing using truck which carries the entire body of your vehicle. Why is this beneficial? This is the superior type of towing because it is safer for road traffic as well as safer for your vehicle. 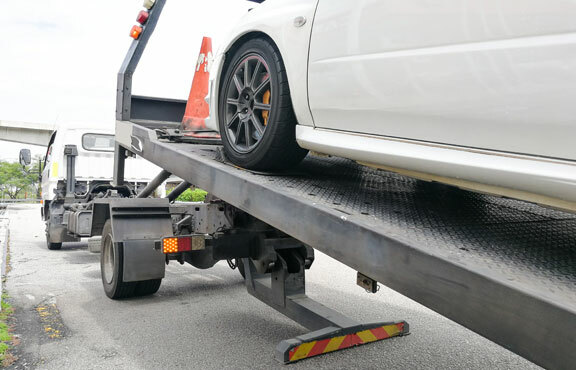 Flatbed towing puts zero stress on the body of your vehicle and if we just picked it up after a small accident or fender bender, your vehicle doesn’t need any added pressure. 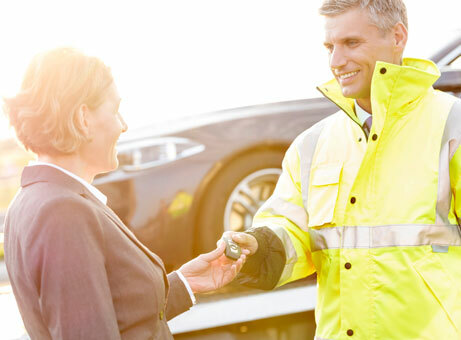 Quality Tow is our foundation and we want to make sure you and your car arrive safely at your next destination. If you drive into some trouble, give us a call. Sometimes things happen to us that we never planned ahead for and it can really change the direction of our entire hour, day, or week. We want you to feel comfortable giving us a call if you drive into a situation you and your car weren’t quite ready for. If you swerve into a ditch and need us to get you out and take your car to the shop or to your home, give us a call. If you had a small fender bender and don’t feel 100% comfortable driving your car to its destination, give us a call. If you call and our roadside assistance can’t meet all of your needs, don’t worry because you’re not stuck, we will come and get you. Our towing service is the most affordable tow truck service in the Las Vegas area, not our roadside assistance, but our overall company is affordable for your anytime needs. We know what questions to ask you to not only get to you as quickly as possible but to also be more helpful than stressful. As a company full of professionals, we want to be able to help you out of tense situations not add to them. We know that choosing a professional tow truck service can seem a little frightening, especially if you’ve never needed one before, but we want to help as best as we can. If you find yourself or a loved one stuck in a situation, give us a call. If you’re not sure if you need a tow truck, give us a call, and speak to one of our professionals. Whatever the question, we are here to help, and we will not disappoint.